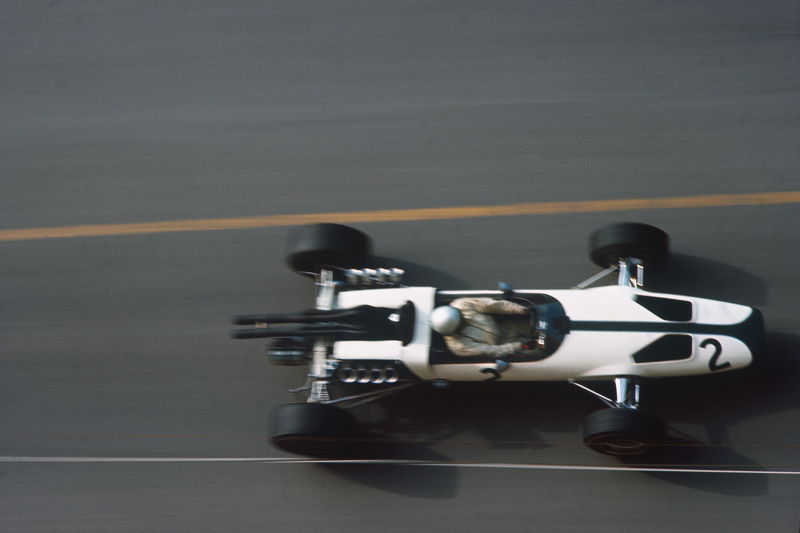 I’ve given up waiting for John Surtees to be awarded a knighthood so I’m just going to go ahead and call him “Sir John” from here on in. 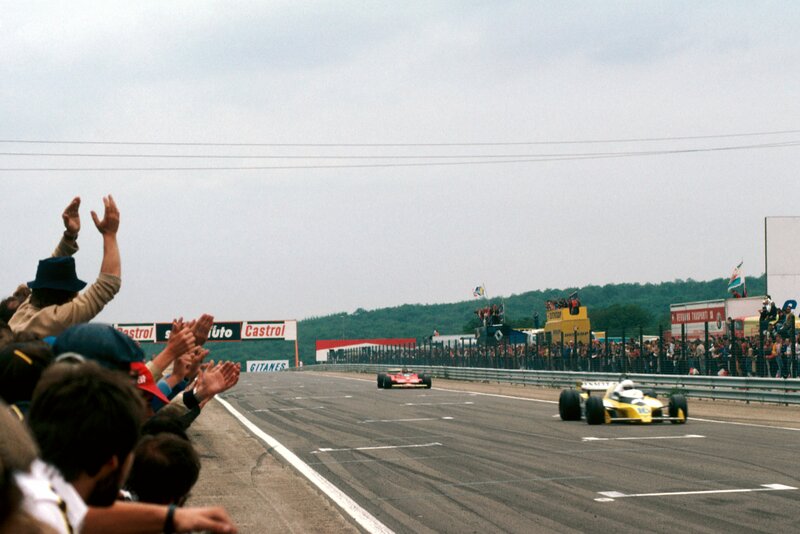 Anyone who can drive and engineer F1 cars as well as he did – and win World Championships on both two wheels and four – deserves to be a Lord in my book, let alone a Knight. 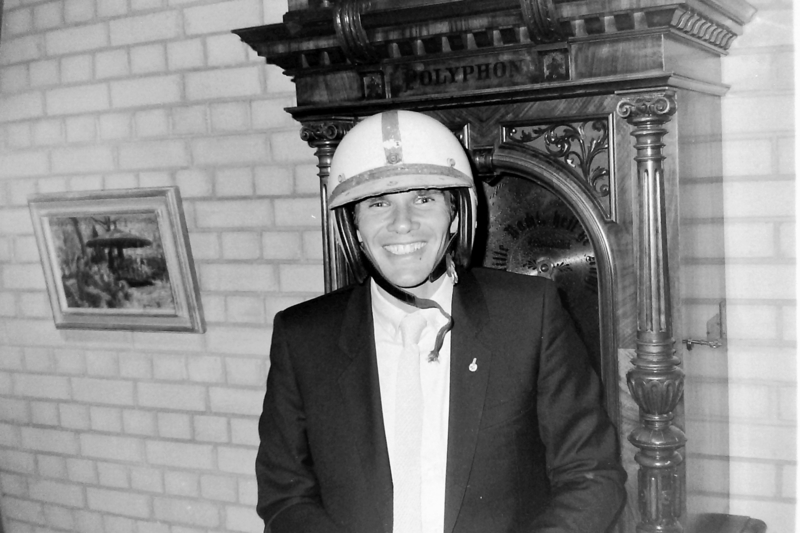 Accentuating the theme, I came across this photo in the files the other day: it’s of me wearing Sir John’s 1964 Championship-winning Everoak helmet, taken in the house of Gert Kramer in 1984. Gert is a friend who used to work for Daimler Benz; and, as you can see from the other photo, he has/had one of the best F1 driver helmet collections in the world. Senna? Prost? 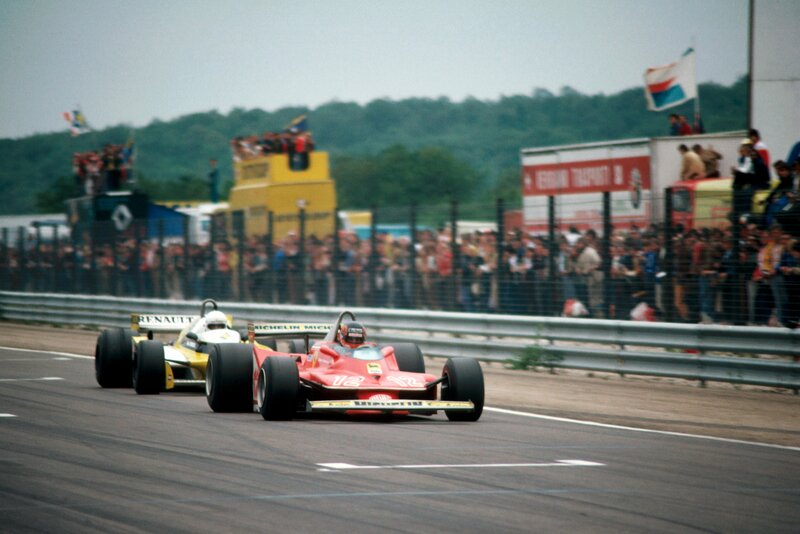 Reutemann? No problem. 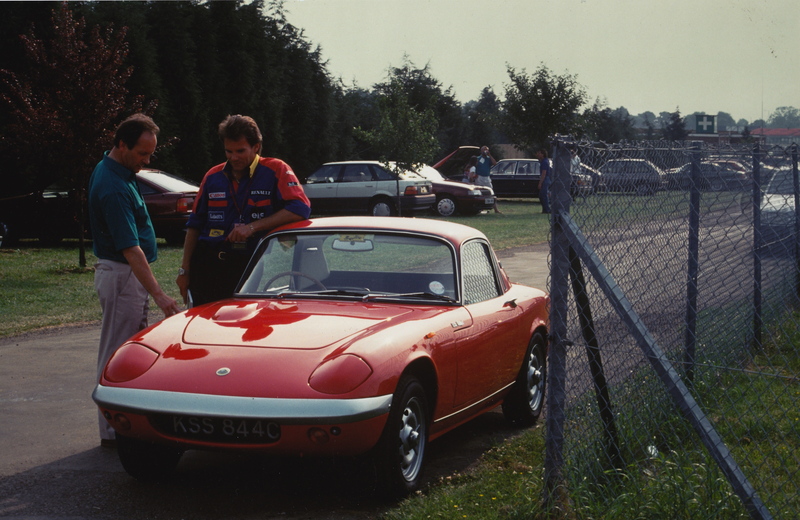 And, yes: that is Nigel and Rosanne Mansell there with Stefan Johansson. 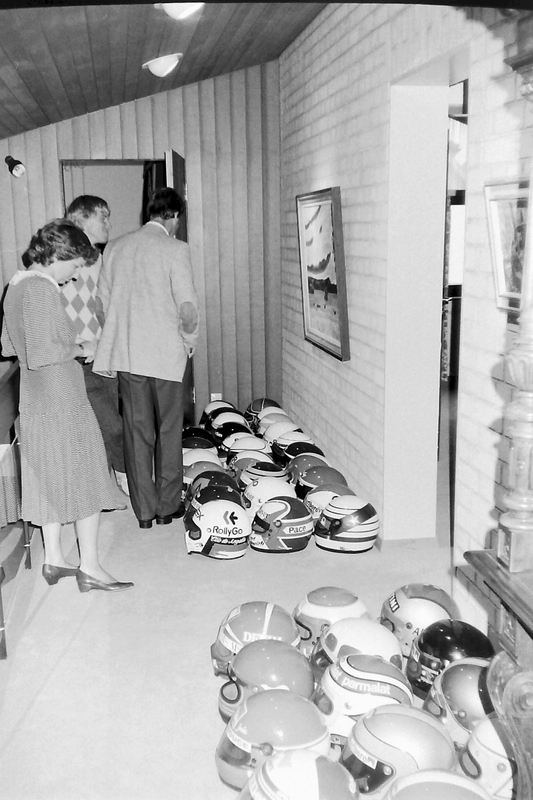 Great helmet collection there and an even great decision to now on putting Sir in front of John Surtees! 😉 Another great post created by you Peter, thanks for sharing. This may not be the best place to post this, but I’ve been following your show first TFL now TRE. I’ve been trying to find an audio only download. I like to listen to you while driving. Any response would be greatly appreciated. No worries. Just go to iTunes and search for “The Racer’s Edge”. You will find all the episodes there and you can download in either video or audio form. We have an ultra-fast download with iTunes via Amazon. Sir John… I like that and wholeheartedly agree. As might be said over here…All y’all otten to git er done, cousins!